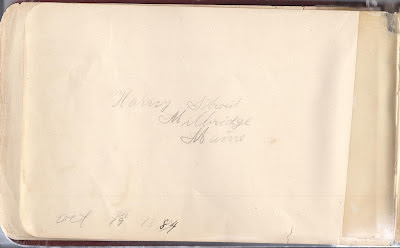 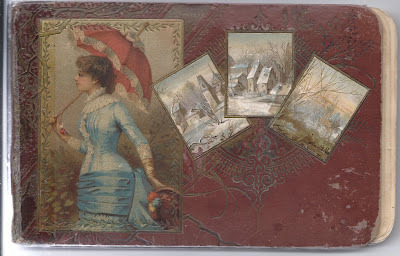 1880s Autograph album of Harvey Alton Strout of Milbridge, Maine. 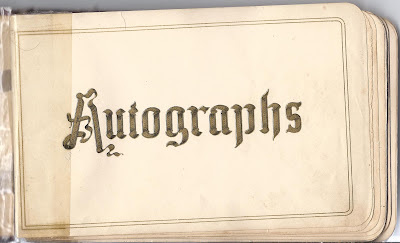 The album also contains three autographs of his children in 1910. The album is approximately 7-1/2" x 5" and contains 45 pages signed by relatives and friends. 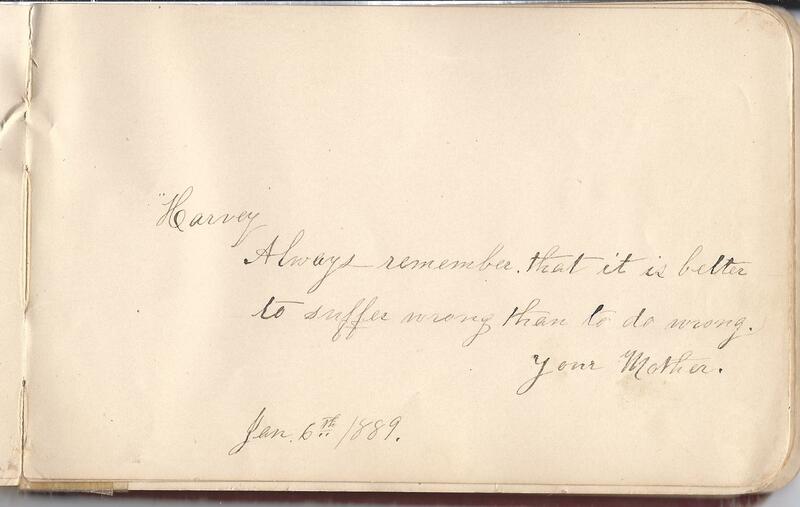 One page is signed by a Harvey Strout. 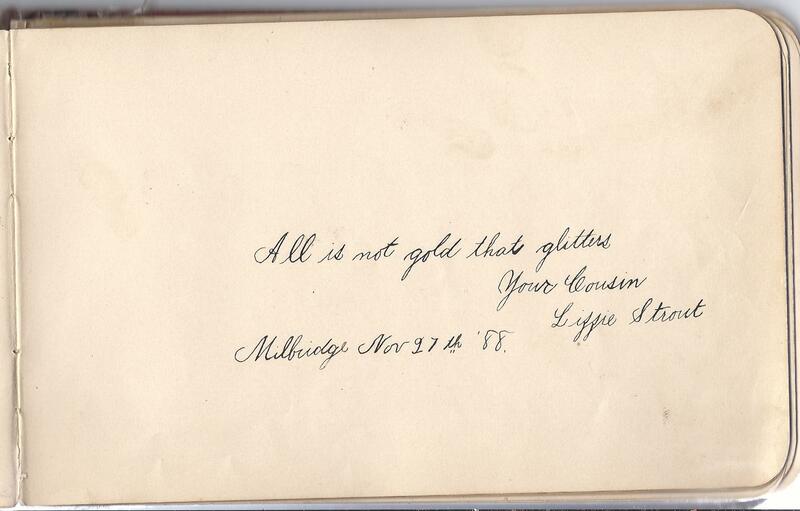 I don't know if it was signed by Harvey Alton Strout himself or a relative. 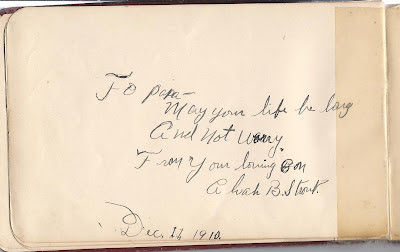 Harvey Alton Strout was born 30 September 1875 at Milbridge, Maine, the son of Charles W. and Emily B. 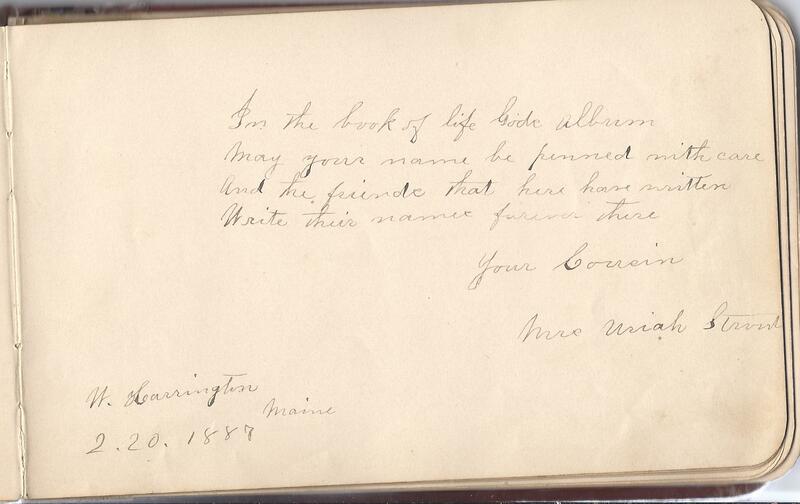 (Fickett) Strout, who were both born at nearby Harrington, Maine. 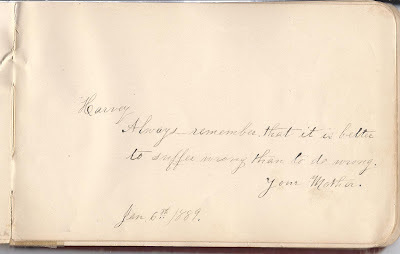 Harvey's mother, Emily B. 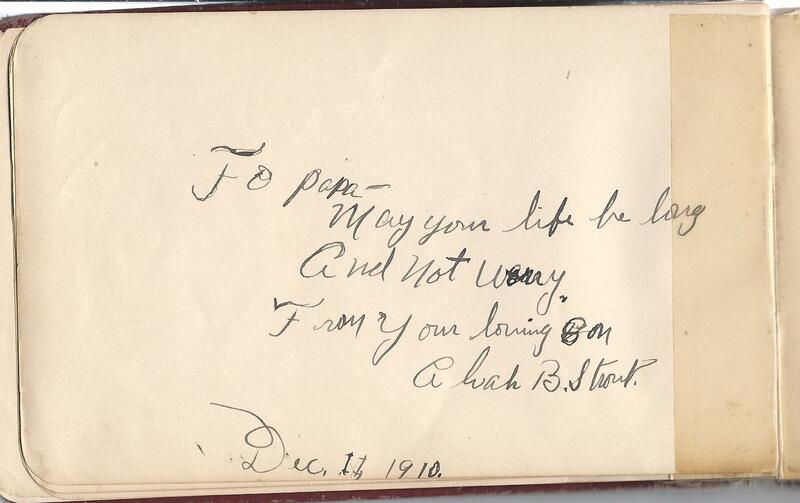 (Fickett) Strout signed a page in 1889. 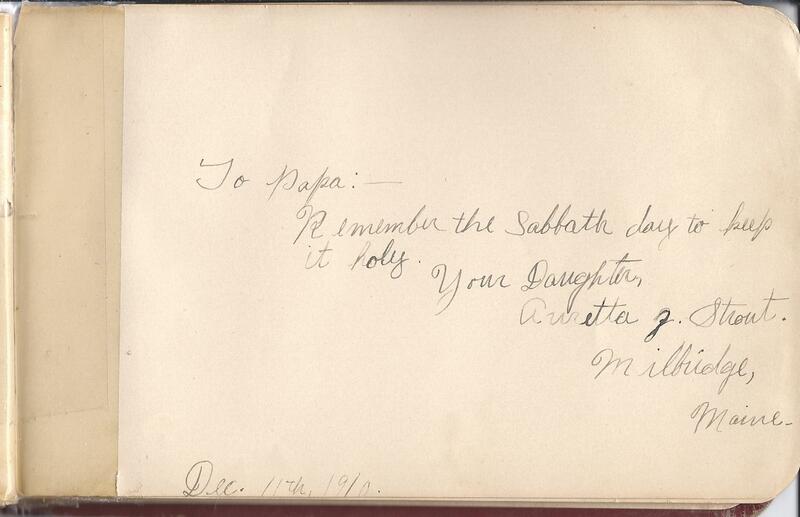 Harvey Alton Strout's paternal grandparents were Joseph and, I believe, Ruth (Cates) Strout. 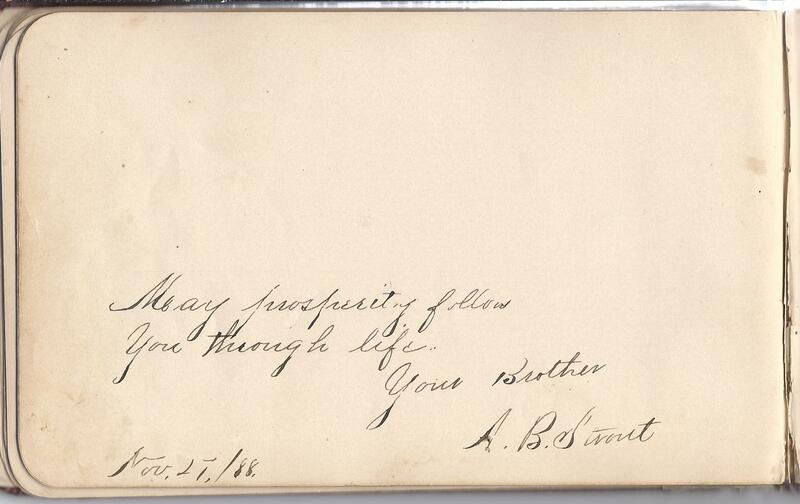 On Harvey's death certificate, his mother is named Elizabeth. 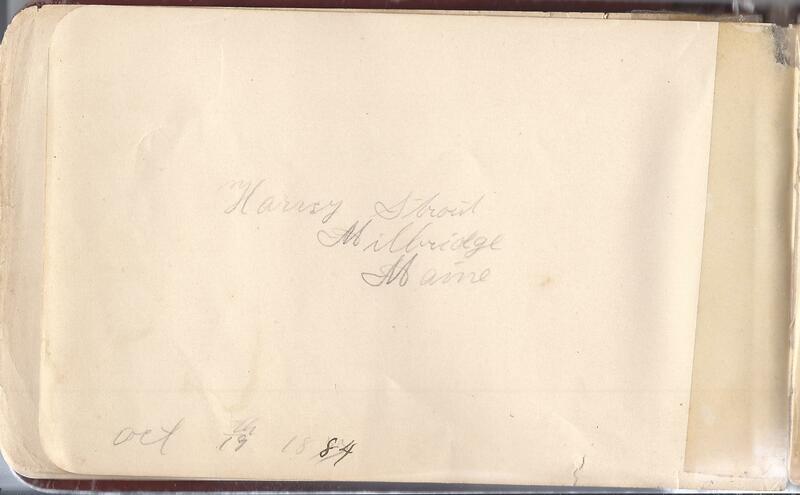 Harvey's maternal grandparents were Silas and Lois (Strout) Fickett. 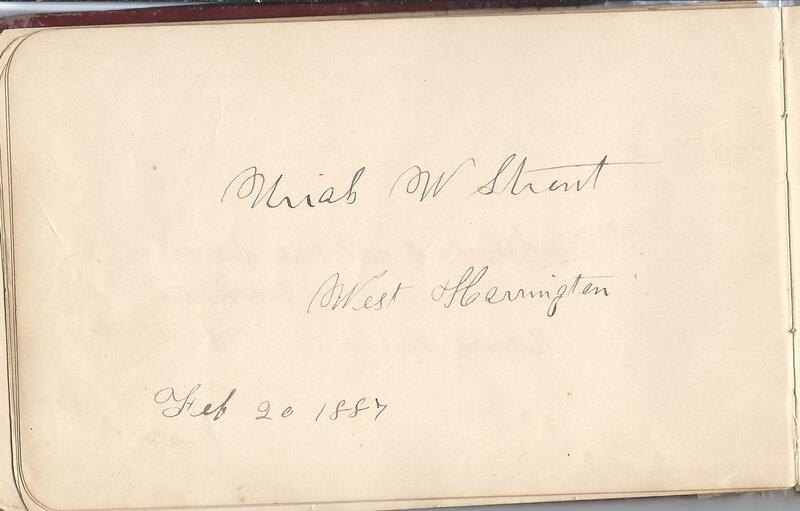 Harvey's brother, Alvah B. Strout, for whom he later named a son, signed a page in 1888. 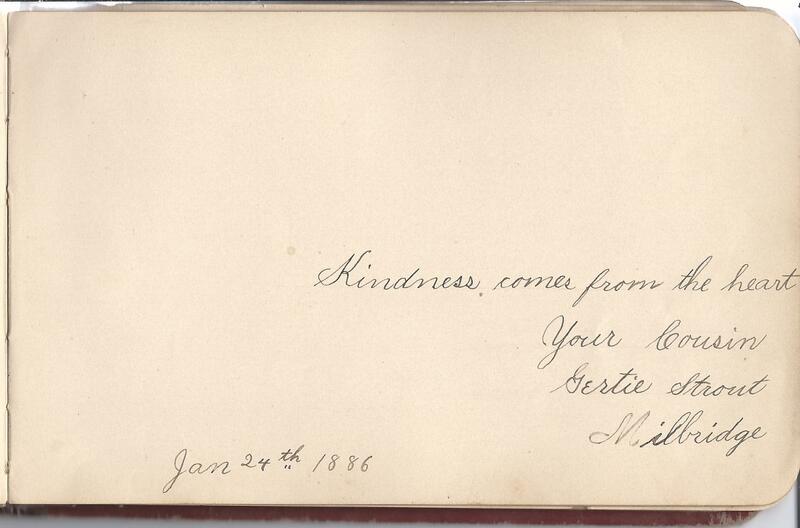 Several people who identified themselves as Harvey's cousins signed pages. 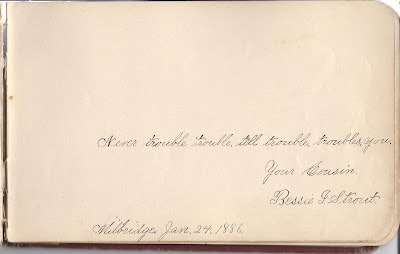 Cousin Lizzie Strout of Milbridge, Maine, signed a page in 1888. 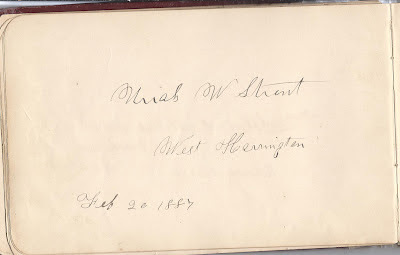 Cousin Mrs. Uriah Strout of West Harrington, Maine, signed a page in 1887. 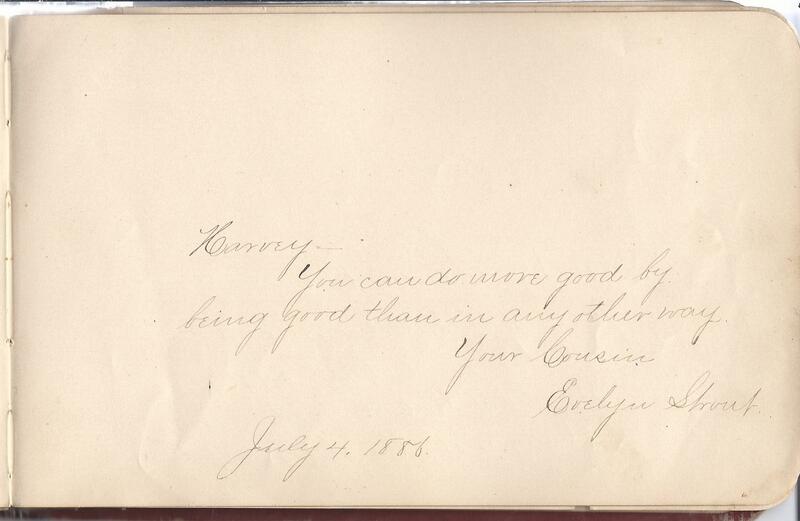 Her husband also signed a page. 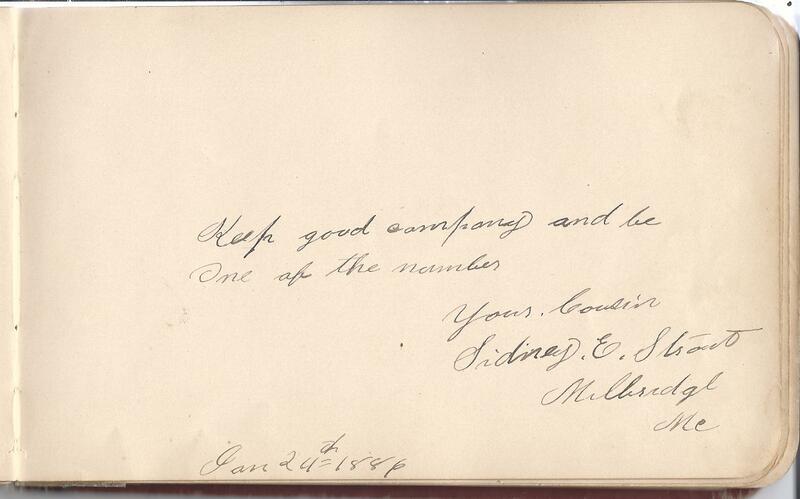 Cousin Sidney E. Strout of Milbridge, Maine, signed a page in 1886. 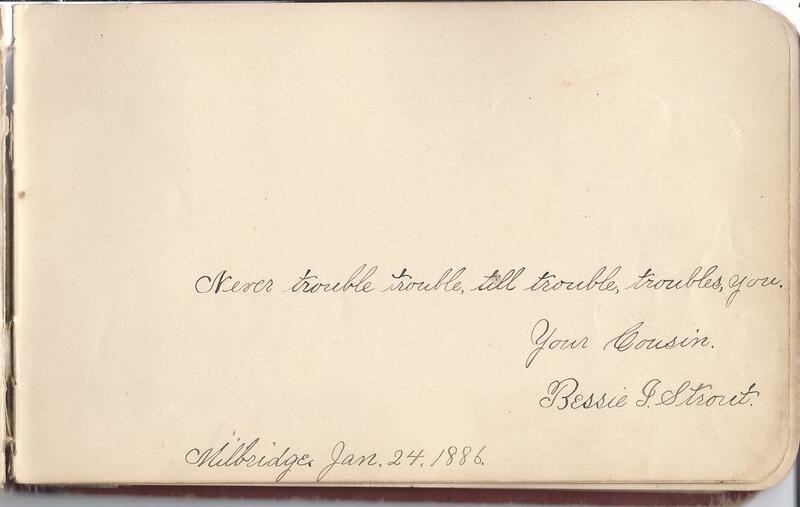 Cousin Bessie J. Strout of Milbridge, Maine, signed a page in 1886. Cousin Gertie Strout of Milbridge, Maine, signed a page in 1886. 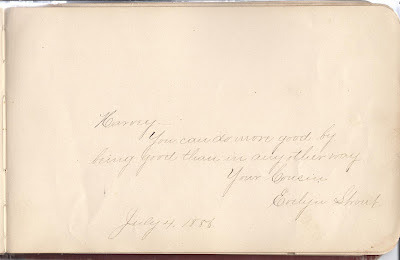 Cousin Evelyn Strout signed a page in 1888. 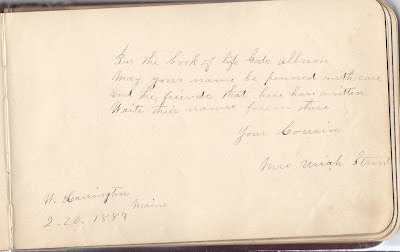 Other signers could have been cousins as well. 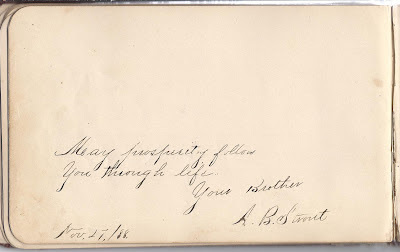 On 16 December 1896 at Milbridge, Maine, Harvey Alton Strout married Sarah Fickett, daughter of Charles R. and Frances E. (Seeley) Fickett. 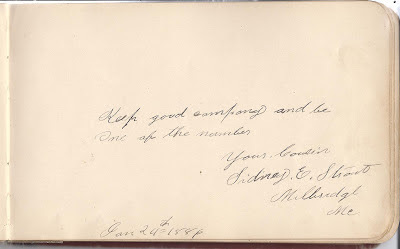 Sarah was born 29 April 1879 at Milbridge, Maine. 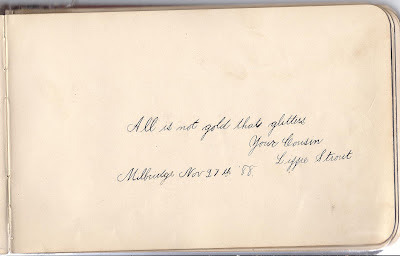 The couple made their home at Milbridge, Maine, and had at least six children, two of whom died in infancy and one about the age of 21. 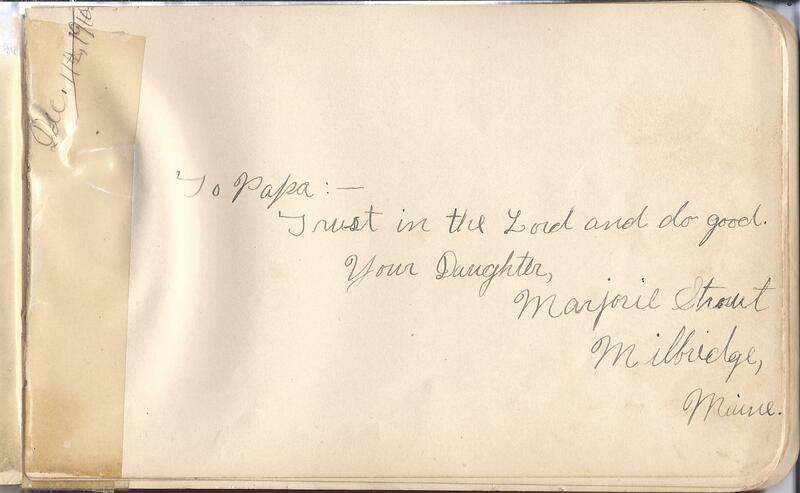 Daughter Marjorie Strout of Milbridge signed a page in 1910. 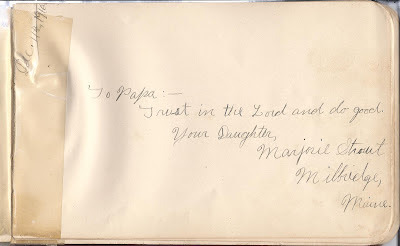 Daughter Auretta J. Strout of Milbridge, Maine, signed a page in 1910. 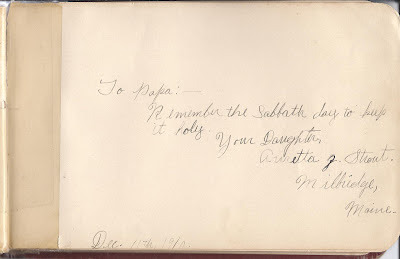 Son Alvah B. Strout of Milbridge, Maine, signed a page in 1910. 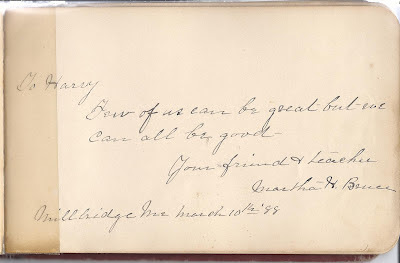 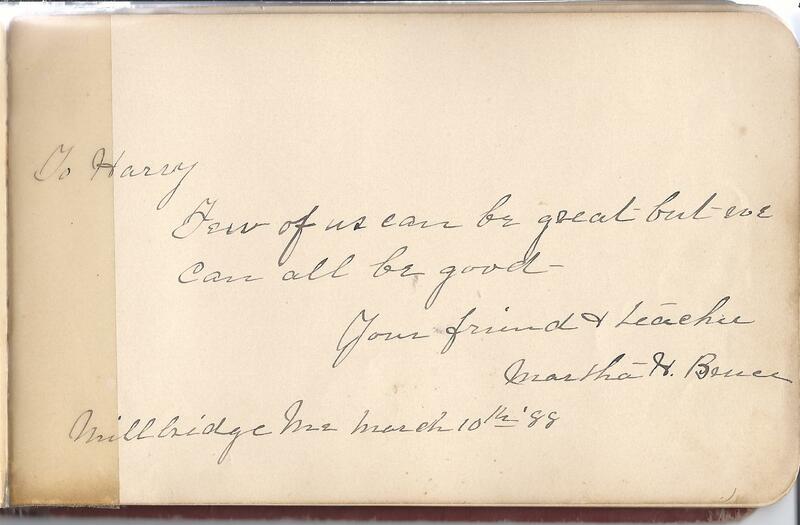 Harvey's teacher Martha H. Bruce of Milbridge, Maine, signed a page in 1888.